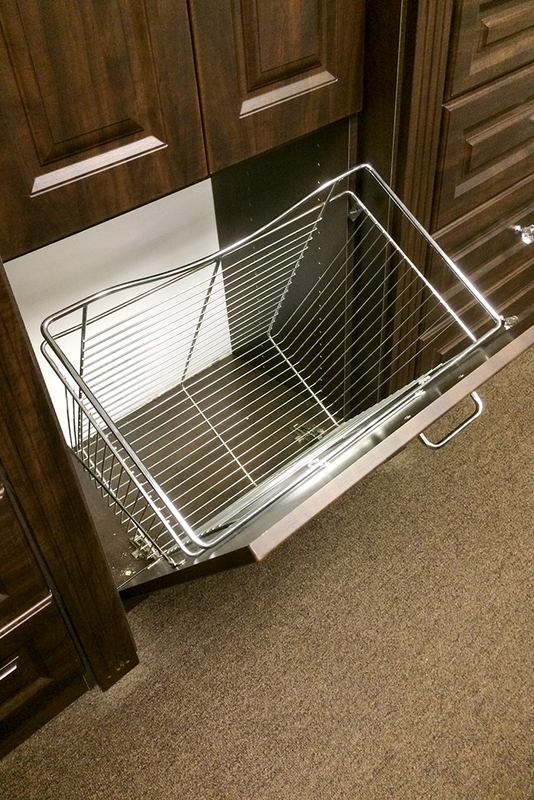 A versatile organizational system with custom features creates a designated spot for all your belongings. Our adjustable shelving and hanging rods makes it simple to change or re-arrange your system whenever you’d like. These features are designed to save you space and optimize the functionality of your storage system. The ideal place to assemble clothing, accessories and jewelry for a complete outfit. Keep your belts, ties and scarves visible and easily accessible while you’re getting dressed with our slide out tie and belt racks. 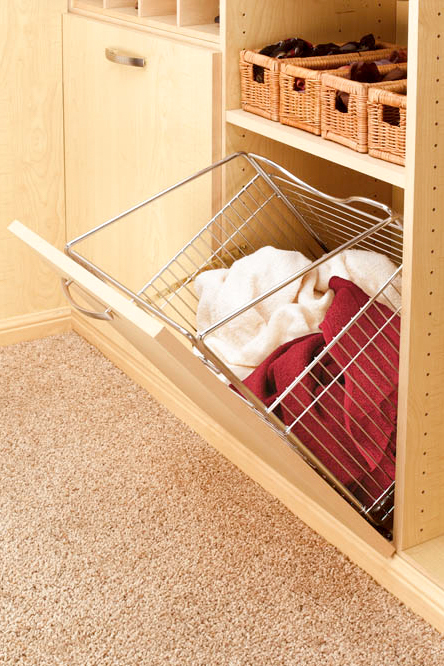 Save a trip to the laundry room and keep your space looking clean and tidy with our tilt-out or pull-out hamper systems. © 2018 North Shore Closets & Cabinetry, Inc.